The bulk of my cross-country skiing experience has been in Minnesota, Wisconsin and Michigan’s UP. I have to say, I think we have some great trails and beautiful settings in our neck of the woods. So I was very curious to see just how different it would be to ski out in the Rocky Mountains. 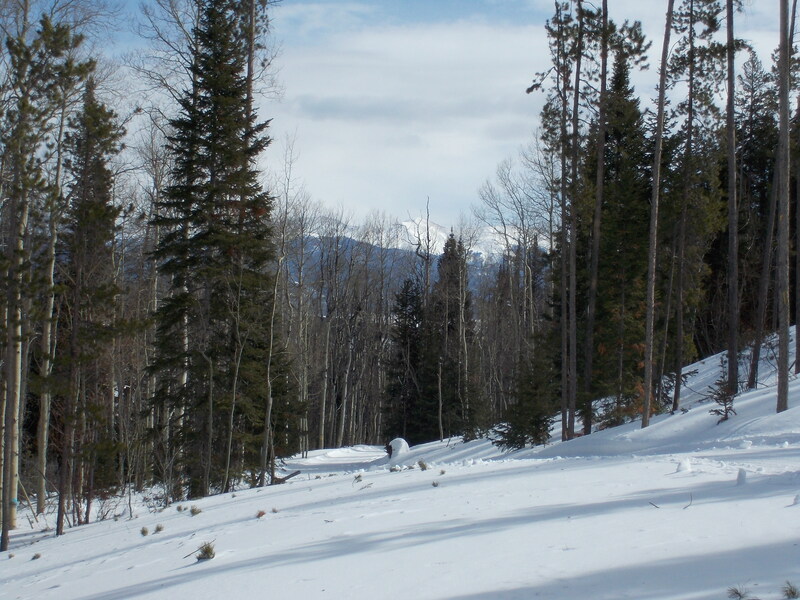 Snow Mountain Ranch is nestled in an expansive valley up in the mountains above Denver. 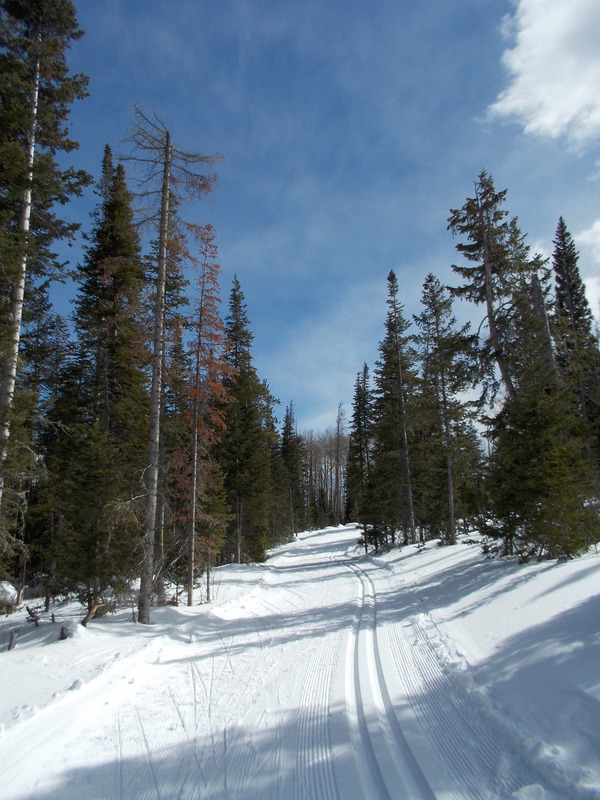 They boast 100 kilometers of ski trails right on campus, and a world-class Nordic Center. It didn’t take me long to begin exploring. I think what surprised me most was that many of the trails are out in the open in the base of the valley. Used to skiing on heavily wooded trails, it’s a different feeling being so exposed. Unfortunately, the openness is largely due to the advances of the Mountain Pine Beetle, which has decimated the trees in this area of the Rockies, leaving wide open patches everywhere. Sadly, it is a native bug normally held in check by cold winters, but milder weather over the last decade has allowed it to flourish and kill most of the pine trees. After the devastatingly cold winter in Duluth this year and record-breaking string of sub-zero weather, it feels like spring out here with temperatures reaching the 40s during the day. I have piles of warm ski clothes I don’t need – not that I’m complaining! But with the temperature swings come high winds, and they blow without mercy down the empty valley. Skiing on the flats feels akin to skiing uphill against the resistance of the wind. The wind does a number on the trails, scraping any new snow off the top and creating drifts in unexpected areas. Fortunately, they do groom frequently, and given the chance, I follow the most recently groomed trails. But the openness does have its compensation in the form of amazing scenery. Everywhere I look I see mountains, many of them snow covered beauties off in the distance. 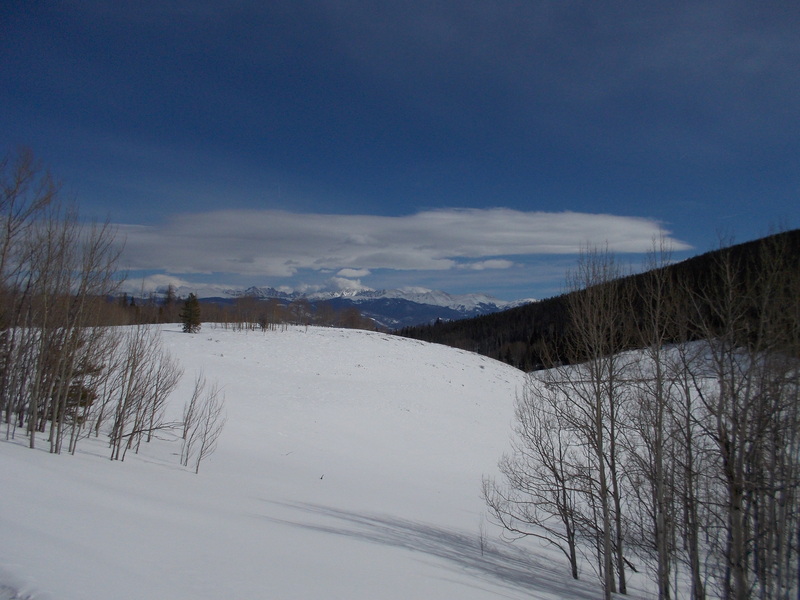 The views are spectacular, particularly when the sun shines and radiates off the snowy mountain tops. That’s definitely a scene we don’t see out in Minnesota. Personally, my favorite trails are still those in the woods. By definition, leaving the valley means a long ascent up the mountainside, but even by a Minnesotan’s standards the grade is reasonably gradual. Normally I would expect to fly up those hills, skating at a good clip, but at 8,705 feet above sea level the altitude puts a definitive check on my aerobic capacity. Once at the top, I enjoy winding through both pine and deciduous forests and ultimately making my way back down again. 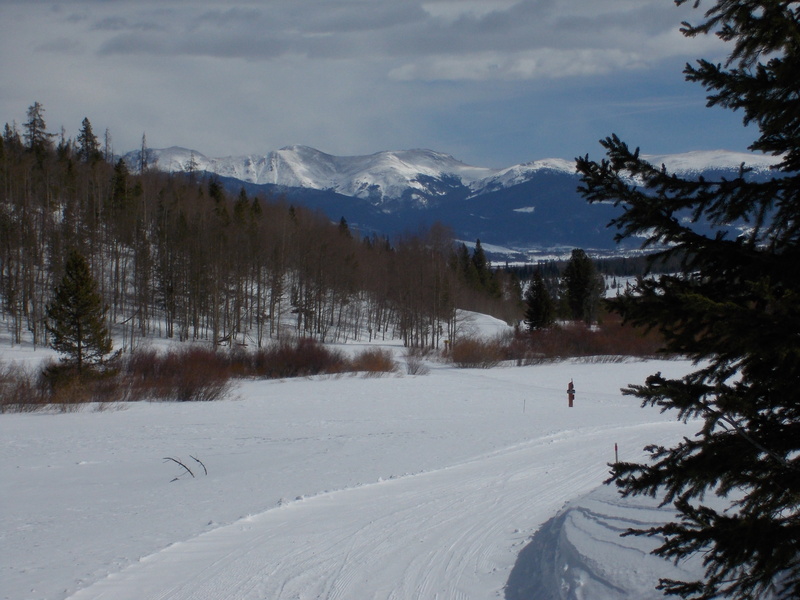 Perhaps I’m biased, but I have to say that I don’t think Colorado has that much over Minnesota in its XC ski trails. But to be fair, I’ve only sampled one trail system so far. And there is a lot to be said for the sunny mild days and towering mountain scenery. Maybe I should call it a draw. And ski for another three weeks, just to verify my first impressions of mountain skiing. 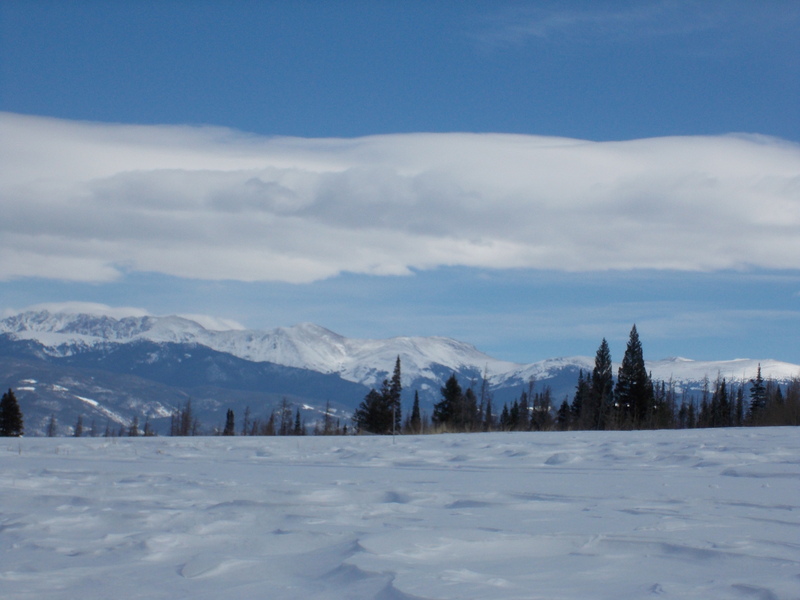 This entry was posted in Keeping Fit, Travel and tagged Cross-Country Skiing, Rocky Mountains, Snow, Snow Mountain Ranch by Molly. Bookmark the permalink.